Like that fantastic beer that you thought you drank but you found in the back of the fridge, we have managed to recover what was once thought to be a lost episode from the Humble Beer audio fridge. Join Chris & D.J. 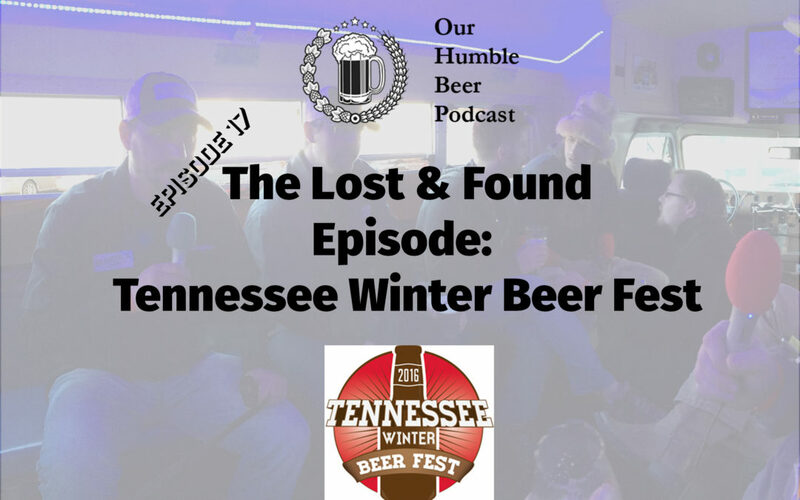 as they talk to what can only be described as a star-studded podcast of some of East Tennessee’s most eclectic and famous breweries, brewers, and brew-celebrities at the Tennessee Winter Beer Fest. In this episode, the dynamic duo talk with the folks from Bluetick Brewing, Saw Works Brewery, Calfkiller Brewing, and The Knox Beer Snobs. Guests: Bluetick Brewing, Saw Works Brewery, Calfkiller Brewing, and The Knox Beer Snobs.